First Responders Week has just concluded. To look back via pictures on the week that was, click on the photo. Greg Howell knows he and his brother, Adam, made the right decision when they picked Amherst to be the site of their new restaurant. 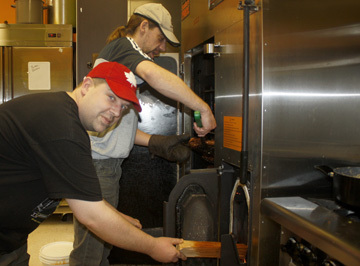 “The reception from the community is way beyond what we thought we were going to get,” Howell said in an interview conducted three weeks after Our Backyard BBQ and Smokehouse opened in Amherst Town Square on South Albion Street. 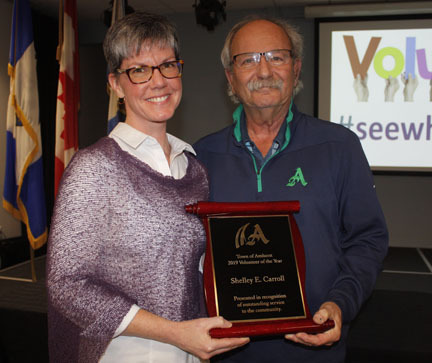 The Town of Amherst is blessed to have so many people willing to volunteer, Shelley E. Carroll, the town’s 2019 Volunteer of the Year, said on Tuesday, April 8, to a room full of volunteers being recognized by the town during its annual Volunteer Appreciation Ceremony. Citizens should never take the First Responders who serve the Town of Amherst for granted, Mayor David Kogon said on Monday, April 8. 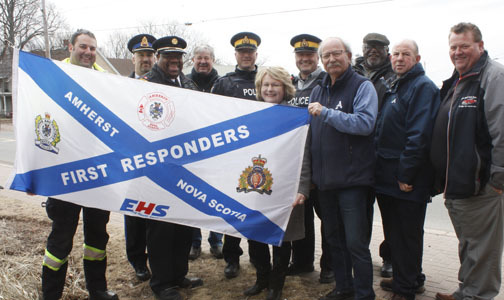 “We as a town, we as a council want show our deepest appreciation to four key organizations – the Amherst Police Department, Amherst Fire Department, Cumberland RCMP and local EHS paramedics – who are vital to the safety of this community,” Kogon said during a flag raising ceremony held to honour and thank the members of those organizations for their services.